We know price is a big factor in choosing a new or used vehicle of any kind. When it comes to financing a modified van, we know pricing can often be a make or break decision. That’s why we provide affordable wheelchair vans and offer discounts on our inventory of minivans and full-size conversion vans each month. We offer both Rollx Vans specific discounts, and also manufacturer direct specials for our customers to take advantage of. Our specials do change each month, so please take that into account when thinking about making a vehicle purchase. We have a great inventory of both new and certified reconditioned accessible vehicles. Free Delivery and set-up at your home on any wheelchair van with a new Rollx Conversion! One year of Mobility Roadside Assistance is included with all new and certified reconditioned accessible vehicles. Chrysler Pacificas – Free Home Delivery and Mobility Roadside Assistance. Dodge Grand Caravans – Free Home Delivery and Mobility Roadside Assistance. 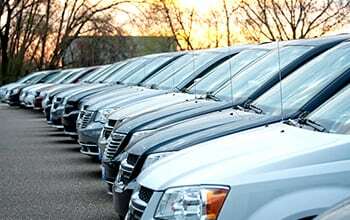 $1000 Automobility Rebate Available on All New Dodge and Chrysler Minivans Direct From Chrysler. Up to $4,500 factory rebate on 2018 Chrysler Pacificas Plus Free Home Delivery and Mobility Roadside Assistance. $4,000 factory rebate on 2018 Dodge Grand Caravans Plus Free Home Delivery and Mobility Roadside Assistance. At Rollx Vans, we want to give our customers the best financing options. Our specials can be combined with our in-house financing, external financing options, and in conjunction with any financial assistance that is received from the state or VA agencies. If you have any questions about our financing options or how you can take advantage of one of our monthly specials, just give our team a call. We’re always here to answer any questions about any of our van models from brands like Chrysler, Dodge, and GMC or provide additional information about our specials. Check out our Rollx Vans Advantage Packages, which include brand new full warrantied conversions on used and pre-qualified vans. Includes Free Home Delivery and Mobility Roadside Assistance!